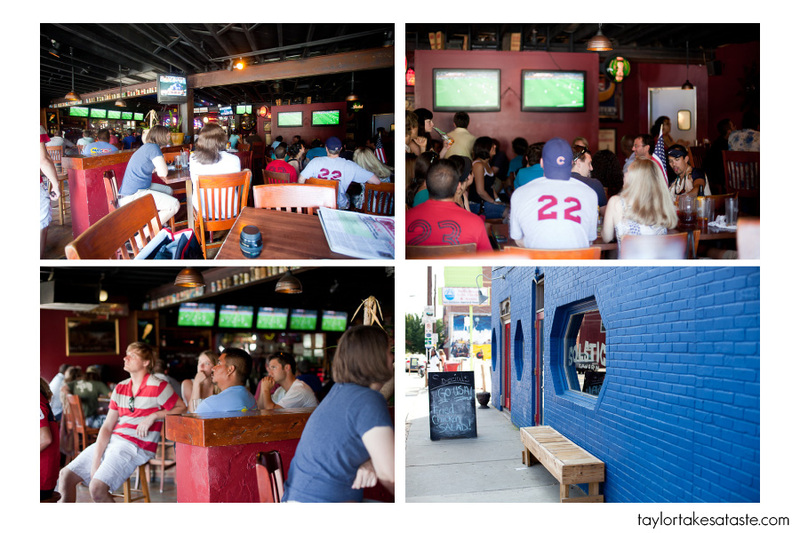 To watch the game, I went with my friends Alan and Ashley to Solstice Tavern in the NODA district of Charlotte. NODA is a really cool part of Charlotte. A full explanation of NODA is another post in its self. In looking at Solstice’s menu I came across Solstice Sundials . What are they you ask? They are amazing! 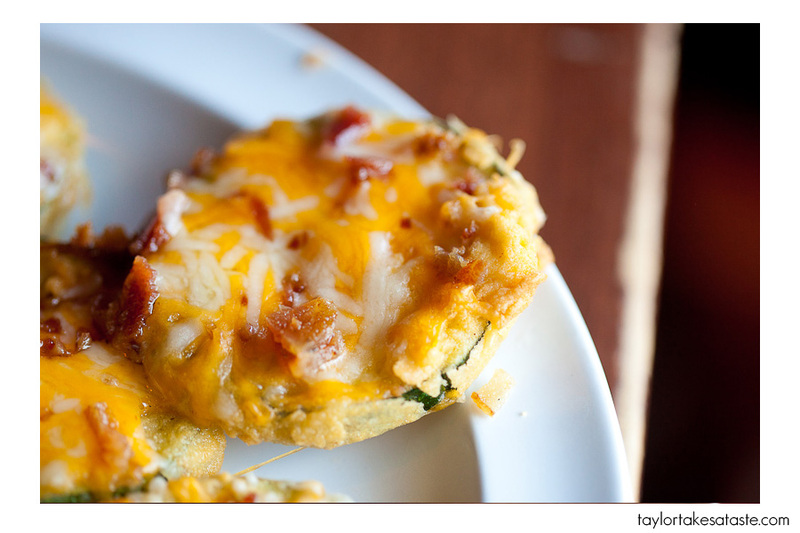 They are zucchini disks deep fried and covered with cheese and bacon. How to you make it better? Dip them in ranch! Mmmm these are in no way healthy for you, but that is ok. 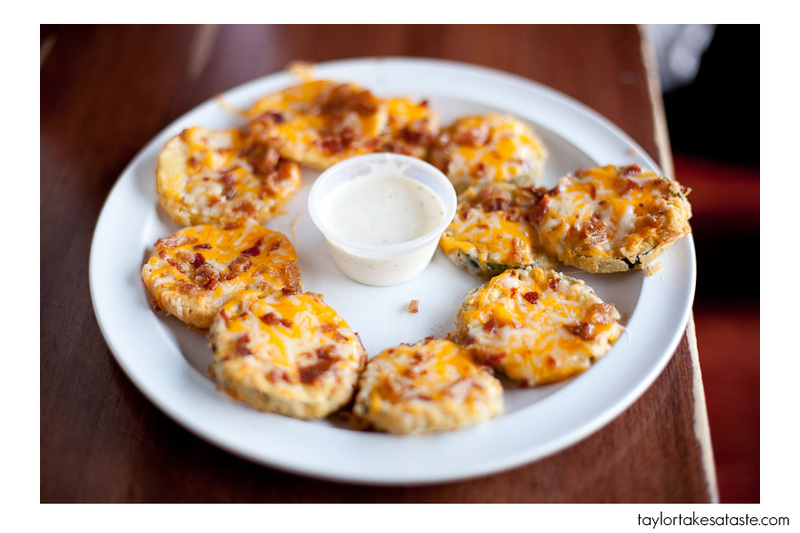 I had never had fried zucchini, but I would definitely eat it again. It fries really well, not to crunchy, not to mushy. After adding cheese and bacon? I think you have a pretty good idea how amazing it tastes. Despite a USA loss, I consider the discovery of Solstice Sundials a success. The koozies were also out for the game ! 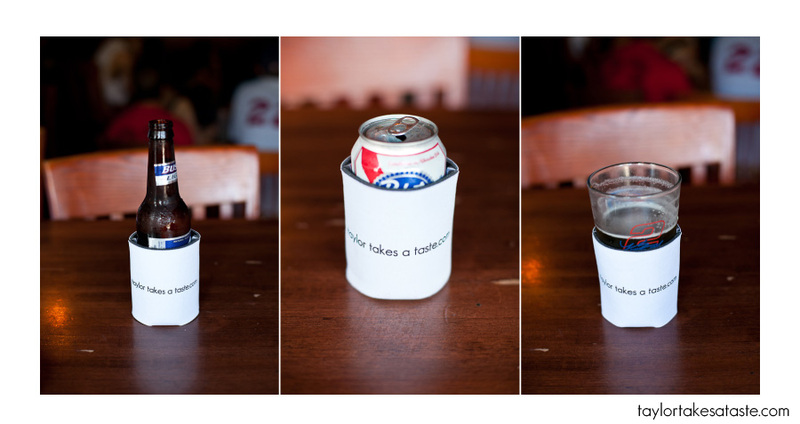 If you want a koozie just become a facebook fan and you will have a chance to win one! Ooo this zucchini looks DEADLY. Hehehe…that sounds funny. Zucchini…deadly. 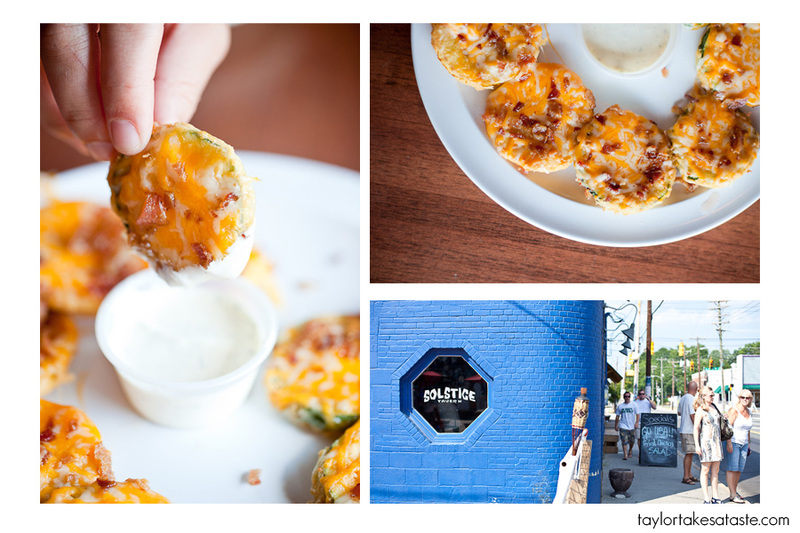 I suppose anything fried with cheese can be amazing! YUM!!!! (minus the bacon-sorry i’m a veggie). 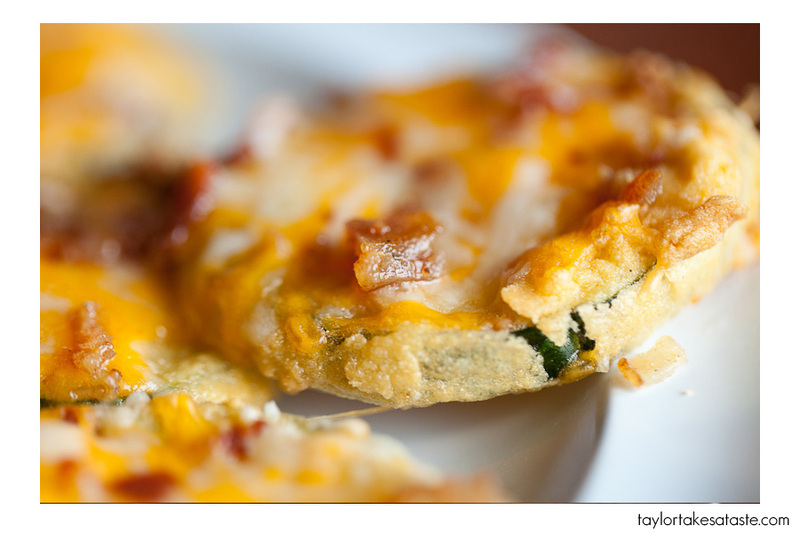 I may have to attempt making this…..any good/easy deep fry batter thoughts Tay? omg, that looks amazing. 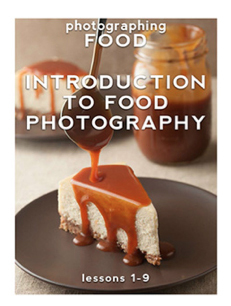 Your superb photography just makes everyone keel over with food envy!